This gluten-free eggnog cake is full of festive holiday flavors like nutmeg and rich, creamy eggnog. The drizzle on the top is literally icing on the cake. 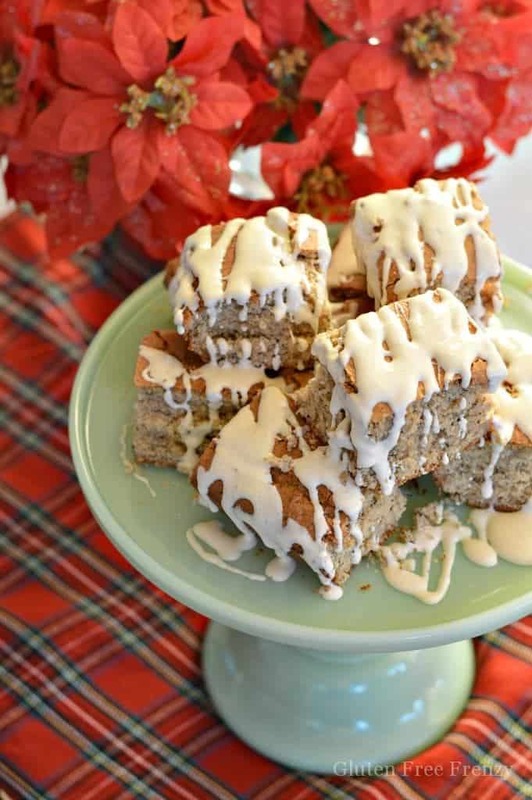 With this super simple recipe, you will have a delicious gluten-free eggnog cake in no time at all. 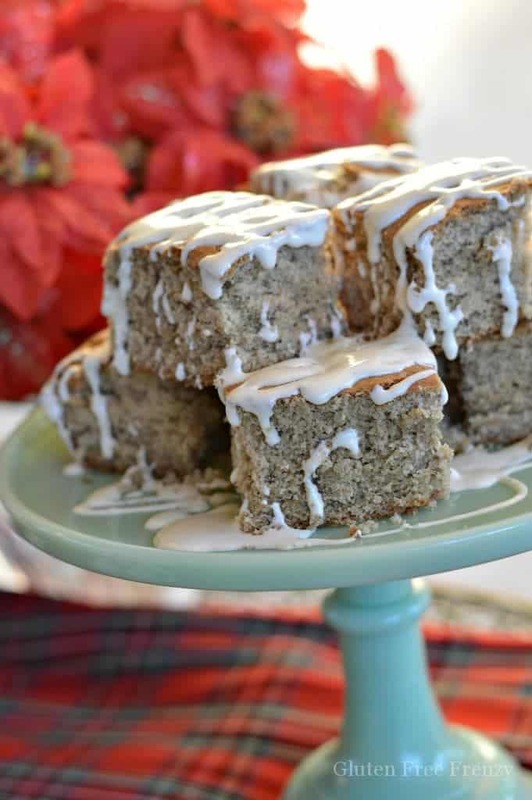 This gluten-free eggnog cake is destined to be a new family favorite. I have loved eggnog since the first time I tried it. It is rich, creamy and spiced perfectly. Though I often cut it with a bit of milk to make it a tad thinner, I still love its distinct flavor. It takes me back to early holiday memories and making cookies with my mom in the kitchen. If you need a recipe, these gingerbread men are pretty awesome. 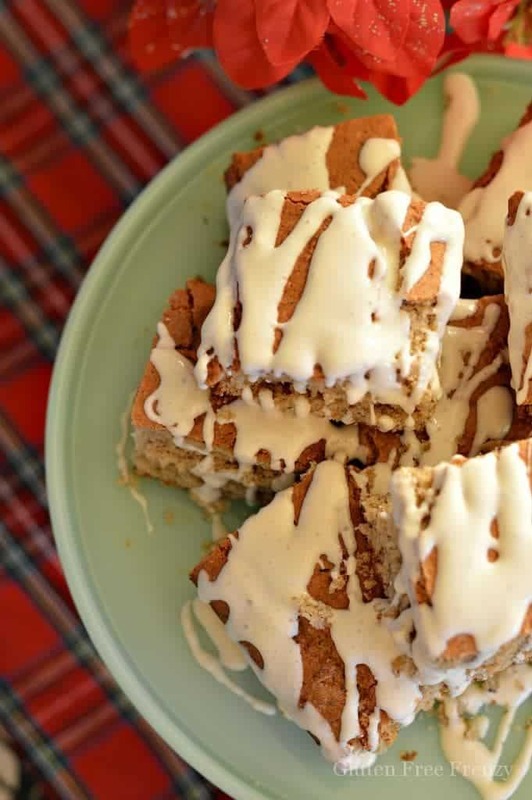 Since I love eggnog so much, I like finding ways to incorporate it into other dishes. 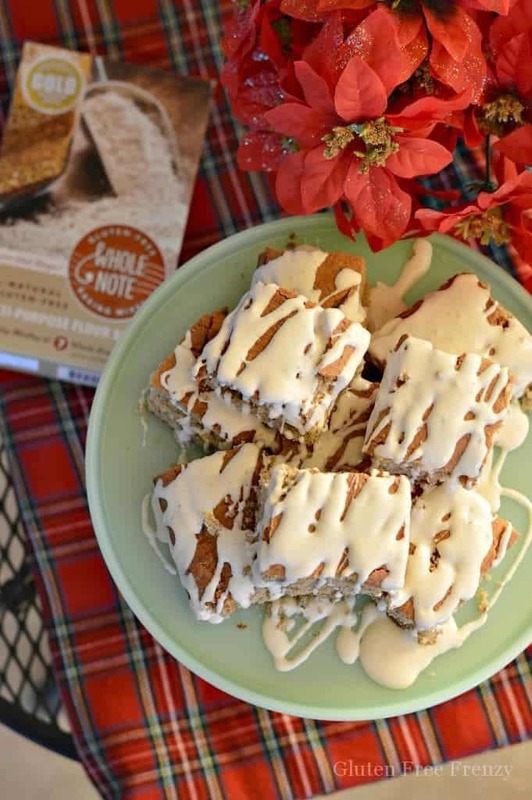 This gluten-free eggnog cake was so delicious. It is especially tasty when served warm with cold eggnog drizzle over the top. Serve it along with a nice cold glass of milk or go all out with a cup of eggnog, sit back and enjoy the tastes of the season. 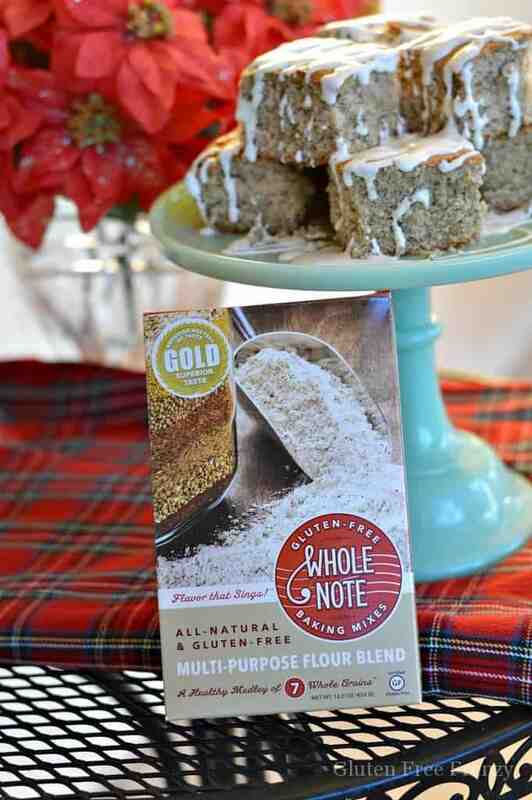 While any all-purpose gluten-free flour will do, Whole Note has a great blend that is both delicious and nutritious. 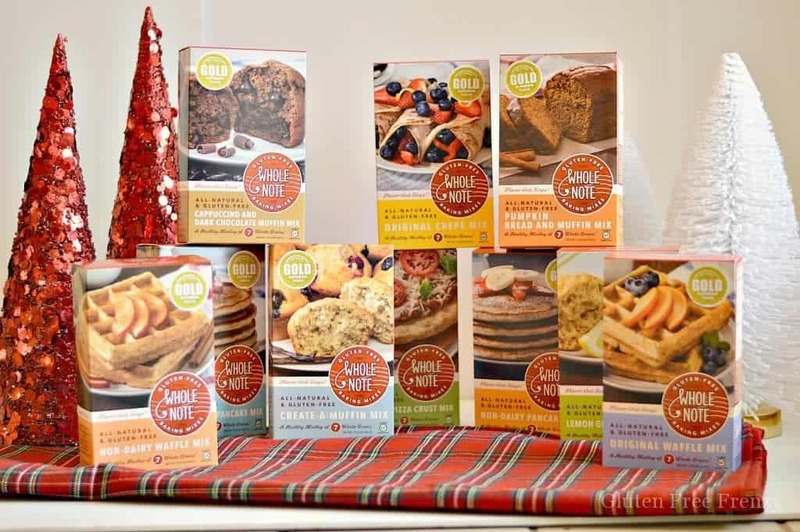 They also have lots of other great products including crepe mix, pumpkin bread and muffin mix, regular and non-dairy pancake and waffle mixes, lemon ginger muffin mix, create your own muffin mix, cappuccino and dark chocolate muffin mix & even a savory pizza mix. This great little family owned company not only has great products. They have the BEST customer service. The owners are so kind and genuinely care about the products they produce. I’ve been loving pumpkin and nutmeg this year! Oh I have to say Peppermint Candy Canes! Oh so yummy!